When the start flag lowers at 13:30, the racing cars roar. Among others, a Bugatti Type 35 B stands at the front. A familiar image for years. 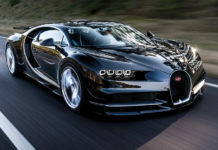 But this time something is different, even though Bugatti and motorsports have been inseparable for ten years. Nevertheless, 1929 marks a special year for Bugatti. 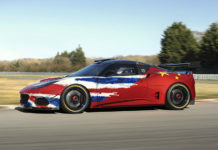 This is the year the French manufacturer wins the first Grand Prix in Monaco. 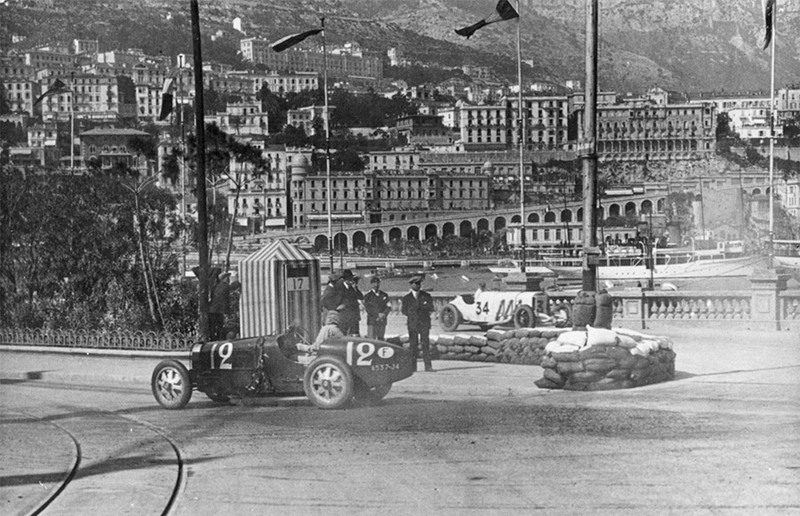 After almost four hours, the racing driver William “Williams” Charles Frederick Grover is the first one to cross the finish line in a Bugatti Type 35 B at the Grand Prix Monaco – the start of a new era. Today, with its tight city circuit, the Monaco GP is the highlight of any Formula1 season, and is one of the most famous car races in the world alongside the 500 miles in Indianapolis and the 24 Hours of Le Mans. Everything started very small 90 years ago. 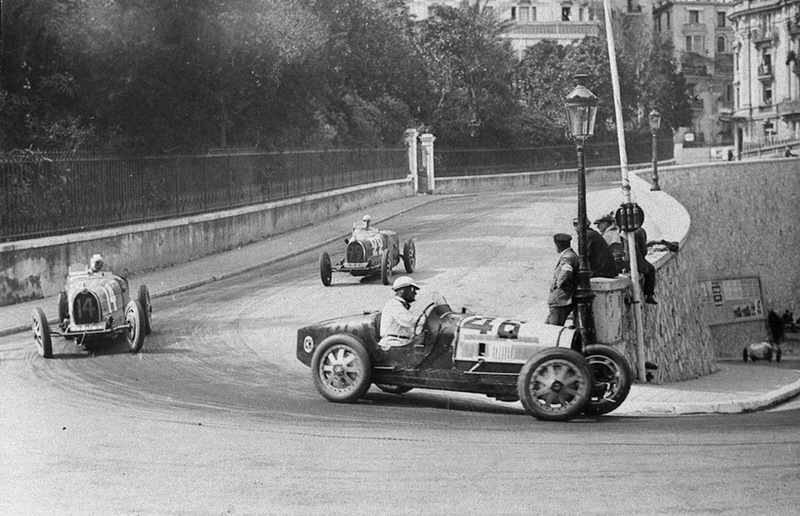 The idea of beginning a race in the middle of Monaco came in the mid-1920s when Monaco’s General Commissioner for the Monaco Automobile Club, Anthony Noghès, arrived. But it took a few years for his idea to be put into action. At the beginning of April 1929, 20 drivers registered and 16 actually started on 14th of April 1929. 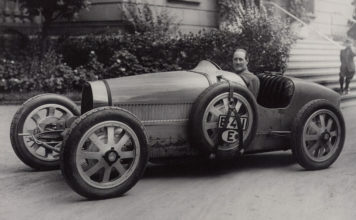 Eight drivers relied on models from Bugatti, such as the Type 35 C and Type 35 B, the latter being the choice of William Charles Frederick Grover. In contrast to current races, the organizers refrain from qualifying and the starting positions are raffled. The Frenchman Philippe Étancelin on Bugatti Type 35C snatches the first place, his compatriot Christian d’Auvergne takes second place. Grover comes in 5th, and his Mercedes rival Rudolph Caracciola at 14th place. As the start flag lowers, William “Williams” Grover quickly floods his eight cylinders with fuel. As a third he comes off, could already settle for a lap, bravely taking the wheel and steering his Bugatti Type 35 B nimble through the narrow streets of Monaco. Like today, duels in the narrow streets were rarely possible. But the failure rate in the race is high and the field thins out quickly. After 80 laps drive with nine cars, three go for victory. Grover controls his nerves, spins reliably and routinely with his Type 35 B lap after lap. On lap 49 Grover goes to the pits, allowing Caracciola to take the lead. But Grover catches up again, his Bugatti has the better grip on the hot asphalt. The front and rear drum brakes are adequately cooled by the new and patented wide-band spoke wheels made of cast aluminum, and six liters of oil reliably lubricate the engine, even on slopes. The front axle is hollow in the middle to reduce the unsprung masses, improving the handling enormously. 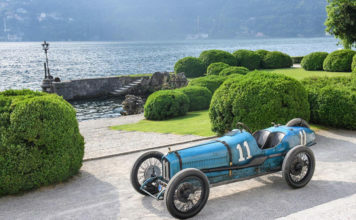 The Type 35 is an absolute winning car and almost unbeatable in the 1920s; with over 2,000 race victories in Bugatti’s “golden decade” it is one of the most successful race cars of all time. The eight-cylinder engine with multi-bearing crankshaft and king shaft runs like clockwork. Thanks to its compressor, the 2.3-litre engine delivers 140 hp at 5,000 rpm. The compressor rotates at the same speed as the crankshaft, thus pushing sufficient air into the combustion chambers without overturning at high speeds. With a curb weight of only 750 kilograms, driving over 215 km/h would be possible, but not in this street circuit. Still, the early torque through the compressor supports the acceleration enormously. With the manoeuvrability of the sleek and elegant body as well as the consistent lightweight construction of the Type 35 B Grover easily wags from curve to curve. Company founder Ettore Bugatti had known for a long time that performance is important, but lightweight construction to him is everything. Hence, he made the larger parts of his racing cars, such as the engine and gearbox housing, body and wheels, out of lightweight aluminum. No wonder Grover is making the fastest race lap in his Bugatti with 2:15 minutes, and an average speed of 84.8 km/h. Ninety years ago this was nothing short of a sensational time. After a hard fight over 100 laps and a total of 318 kilometres, Grover wins ahead of Georges Bouriano in the Bugatti Type 35 C and Rudolf Caracciola in the Mercedes SSK. Exactly after three hours and 56 minutes, he crossed the finish line first. This marks another milestone in Bugatti’s racing history. The GP of Monaco in 1950 is a premiere for the now legendary Formula 1 race, since 1955 the race is held annually in the Formula 1 circus. Today’s distance is 260.52 kilometres with the racers turning 78 laps. The current course record in a race is 1h.14’.26’’ for the 3.377 kilometres long track, the average speed of over 150 km/h. It was hard to imagine ninety years ago when racers like Grover drove through the city in 140-hp cars with drum brakes. 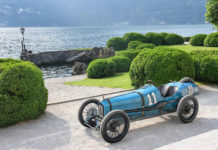 At the time, however, they set standards; Bugatti won four times in Monaco. After 1929, victories followed in 1930, 1931 and 1933; historical moments, for Bugatti, but also for motorsports. This was yesterday 90 years ago. The English-French racer was born on the 16th of January, 1903 in Paris as the son of a British and a Frenchwoman. At the age of 20, he took a job as a chauffeur of a well-known British painter. 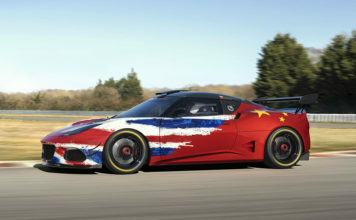 The painter supported the young chauffeur and lent him a car so he could race – under his pseudonym W. Williams. Shortly afterwards, Grover set up a car dealership with Louis Chiron, bought his first Bugatti, a Type 35 racing car, and eventually became a professional racer. 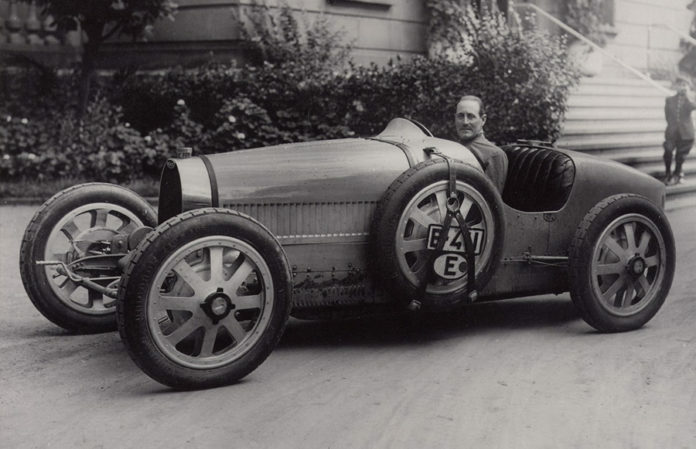 After his first victories Ettore Bugatti discovered the young talent and transported him to the works driver. William Grover thanked him in 1929 with a victory at the GP Monaco, and until 1933 continued to win many races for the French brand. With the onset of World War II, Grover moved to the UK, logged into a special unit, and landed a little later by parachute near Le Mans. There he supported one of the most successful resistance groups against the German troops until he was arrested in 1943. In 1945 he was executed in the Sachsenhausen concentration camp, shortly before the American invasion.